place your order by e-mailing mkimber@centurylink.net. Please click on any underlined title below for a glimpse of the music. You can now HEAR audio files of some selections, too! either as soloist or as ensemble member. borrows from the styles of Telemann, Vivaldi, and Bach. dance movements, all playable in first position. may be played either alone or with the duet part. interesting accompaniment (all 1st position). These duet versions of the Eight Studies are attractive as recital pieces! This was originally Three Canons; a 4th canon was added later. players alert! Positions 1-4; total duration 6 mins. positions 1-7; duration c. 8 mins. return of the fugue material. viola positions 1-7; duration 12 mins. of the Earth, a dissonant climax, and a wistful conclusion. Premiered at Carnegie Hall April 7, 2015.
of Michigan; premiered at Interlochen in June 2001.
a beautiful trio version of the original viola solo. HEAR Night Music from Three Armenian Impressions. art and science. Heres a simulation of the music. Waltz, and Misbehaving March. Humorous! syncopated rhythms, chromatic scales, etc. Duration 7-8 minutes. 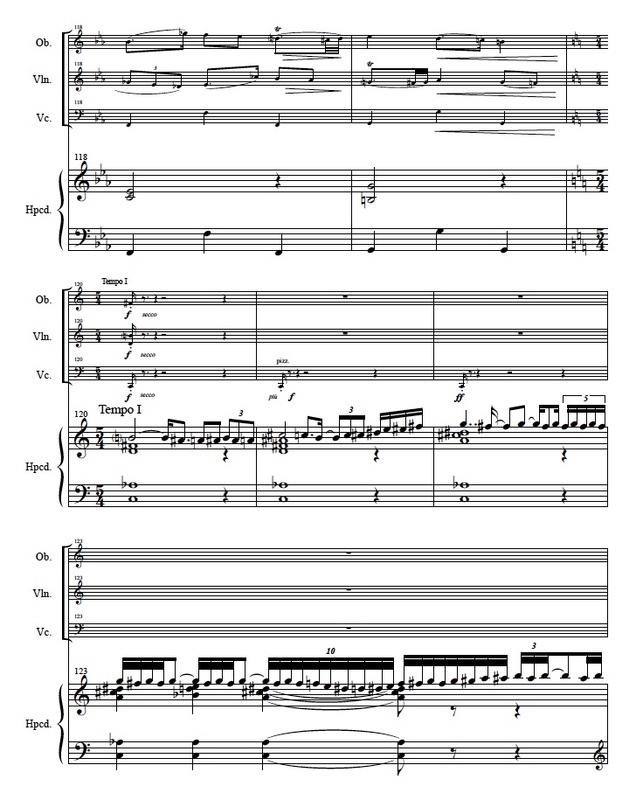 HEAR Misbehaving March from Three Quirky Little Pieces (string quartet). It should be played the second way (starting at 0:34). mysterious, and lively. Great fun for all ages. syncopated rhythms. Duration 5-6 minutes. HEAR the first movement of Traveling Music (string quartet version). this enchanting and delightful musical excursion to Spain. HEAR Two Pieces in Spanish Style. love making beautiful music together! played by the inimitable MacFinale Electronic Ensemble. a few (or more) of your favorite violists for the sheer fun of it? piece will get everyone in the mood for a really good time. infamous Viola Fight Song, consider Violas on Fire! audience screaming (for more?)! Duration 3-1/2 scary minutes. 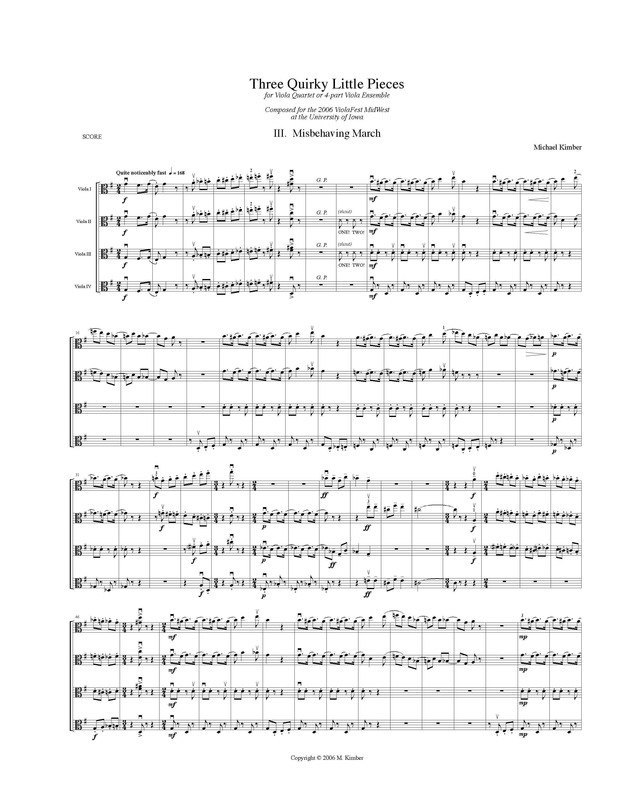 Also available in a version for viola solo with string orchestra. bass line. Duration 9 minutes. performed by the ensemble Promenade. spirited Rocky Top Tennessee. Duration 5-6 minutes. HEAR Knoxville: Autumn of 2013 (simulation). the title to be taken to the Lucks online catalog entry for details. Retail music dealers: please inquire about wholesale cost of items above. ergonomically contoured shoulder rest for violin and viola.